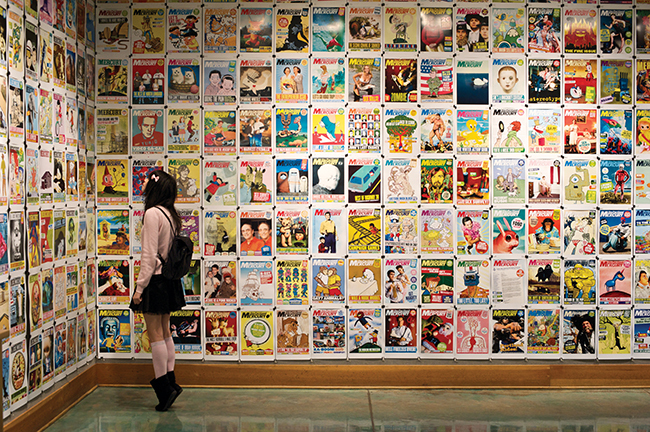 As the hub of cool, Portland, Oregon is the place to be if you love all things different and unique. 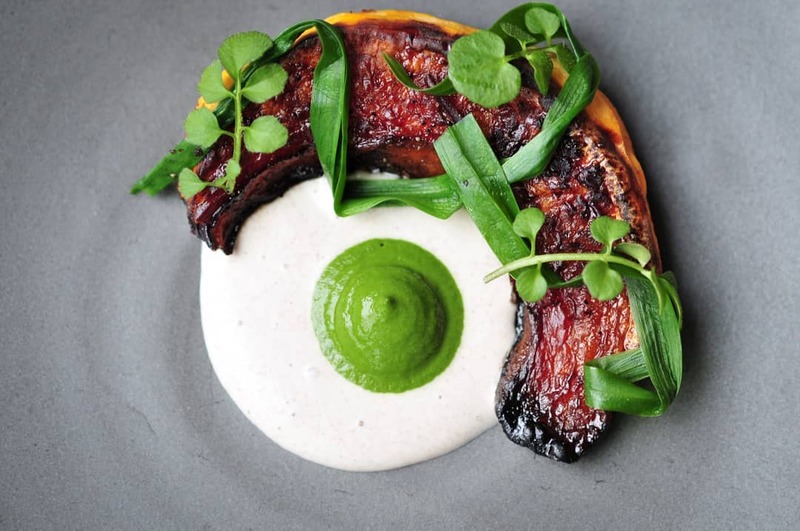 Sophia Amos takes us on a tour to discover where to eat, stay and visit. 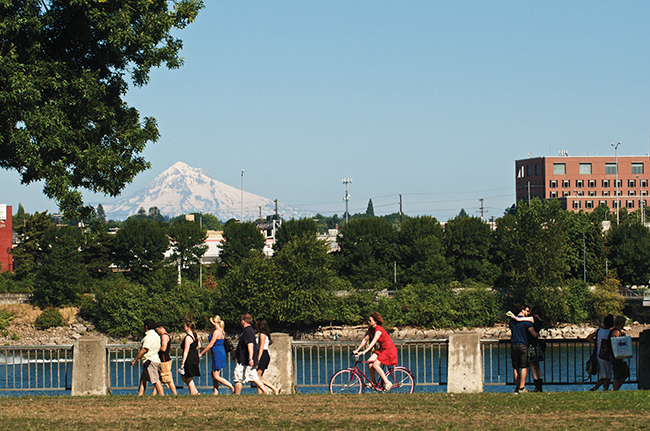 With farm-to-fork concept dining, unique monthly food festivals and hundreds of street-food trucks, Portland is fantastic for foodies. Also renowned for its love of all things different, the city now offers an abundance of cafes and restaurants that are accessible to all. Options include plenty of stylish dining, as well as bakeries, casual quick bites and food carts, and lots of vegan dining options. Celebrating independence, creativity and non-conformity across the city, the phrase ‘keep Portland weird’ proudly lives on! 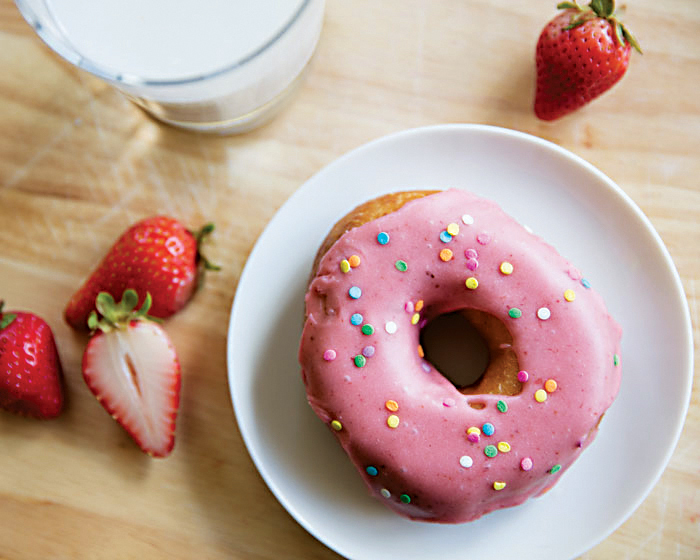 Doe Donuts is Portland’s first dedicated vegan doughnut shop. Artisans use local materials to create colourful and appetising treats, with ingredients that include homemade strawberry soy milk and the signature chocolate raised doughnut topped with gold pearls, chocolate shavings and ganache. 8201 S.E. Powell Blvd. Virtuous Pie is a casual venue that offers completely plant-based pizza and ice cream. The shop partners with Heart Roasters, for a unique selection of espresso, which are made with in-house nut and nut-free milks and syrups. 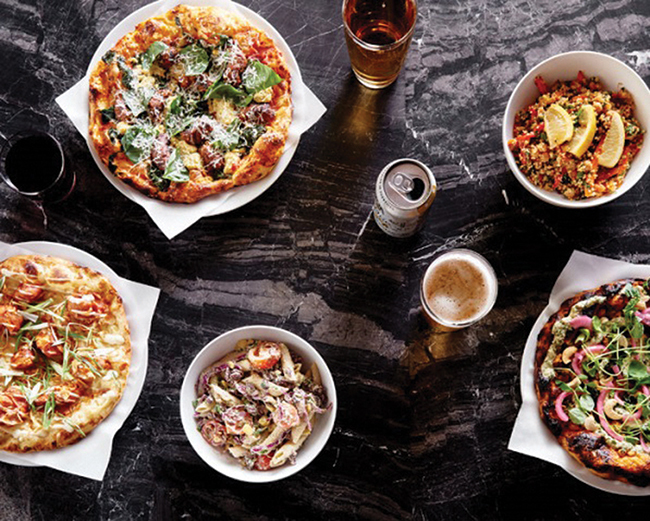 The menu features plenty of different pizzas with nut-based cheeses and three-day dough. Vegan ice cream is also available. 1126 S.E. Division St.
Farm Spirit is a fine-dining restaurant that has seats arranged around the chef’s counter so guests are guaranteed a perfect view of the talent at work. 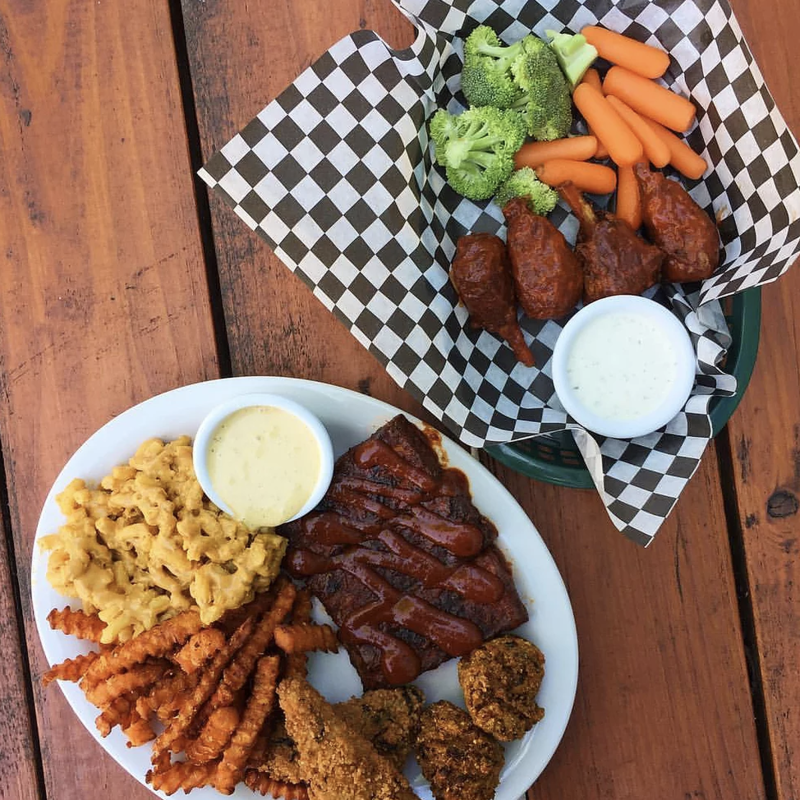 With an all-vegan menu, this is one of Portland’s go-to places for those enjoying a plant-based diet. 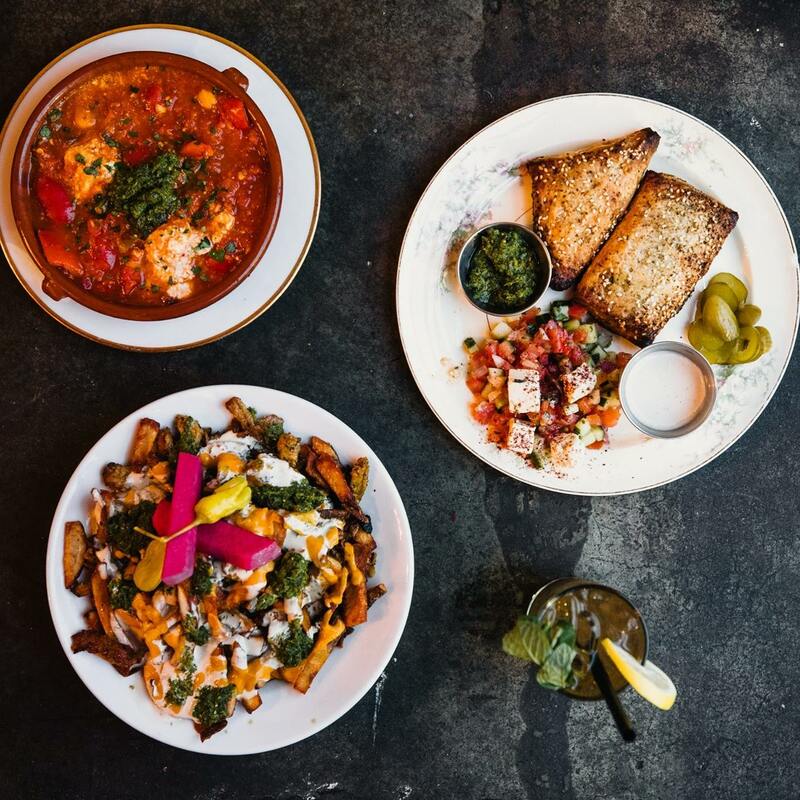 1414 SE Morrison St.
Homegrown Smoker is a simple venue that serves classic Southern-inspired dishes including tempeh ribs with hush puppies and remoulade, chipotle slaw and faux fish po boys. 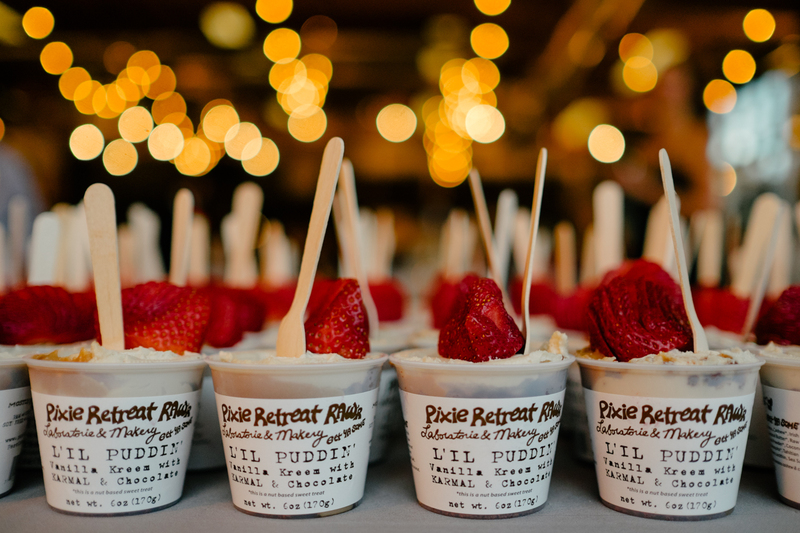 4237 N. Mississippi Ave.
Pixie Retreat offers vegan, raw and organic comfort food from a new location in the Pearl District. The menu includes a range of savoury offerings including kale salad, mac and nut cheese and mock BLTs. 432 N.W. 11th Avenue. Aviv serves Israeli-inspired vegan dishes including falafel bowls and soy curl shawarma fires. 1125 S.E. Division Street. Back to Eden Bakery will cater for you no matter what your preference. The bakery is gluten-free and has never used animal ingredients. 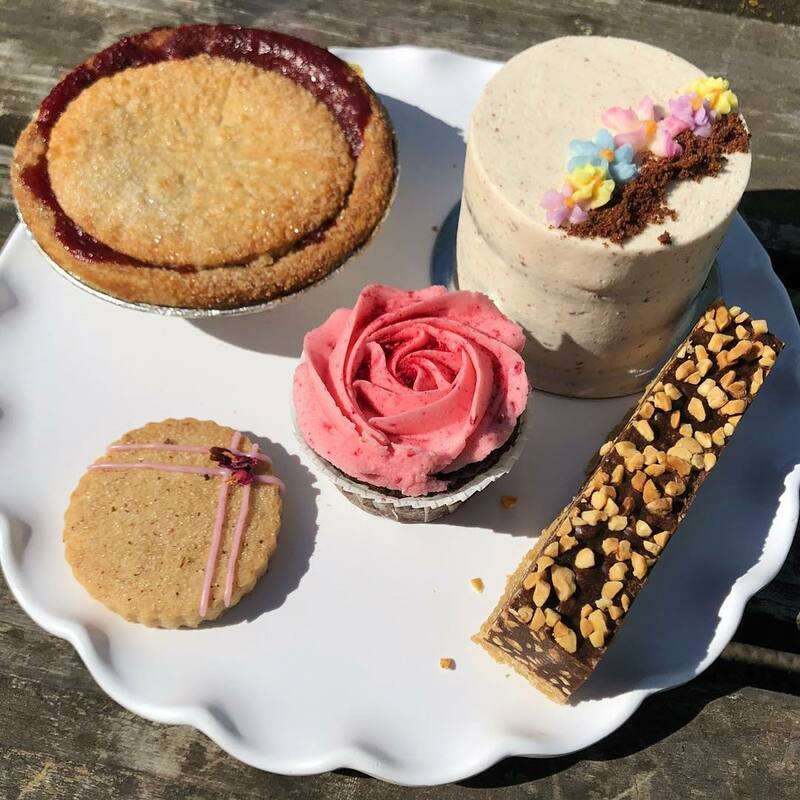 The menu includes breakfast, savoury and dessert pastries as well as gluten-free soft-serve ice cream. 2217 N.E Alberta Street. 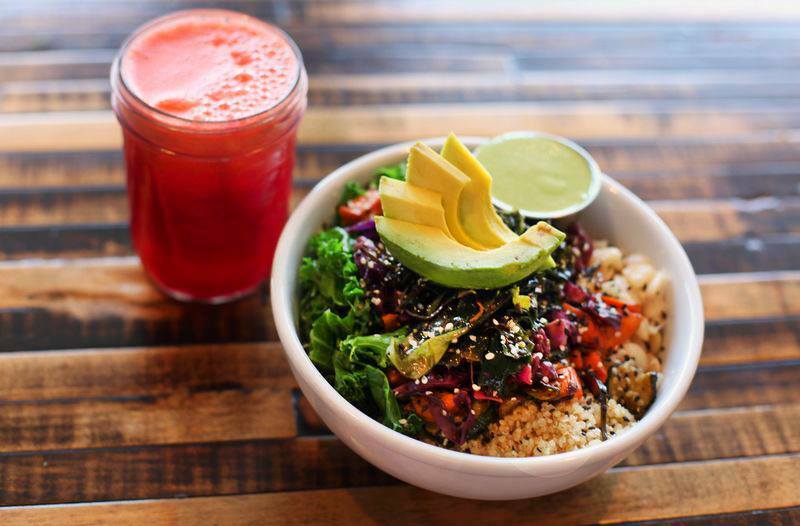 Blossoming Lotus serves organic, vegan, freshly made, world-fusion cuisine with cooked and raw food options. 1711 N.E. 15th Avenue. Harlow is the sister restaurant to the Pearl District’s popular Prasad. Harlow offers mostly vegan, all gluten-free cuisine including breakfast. 3632 S.E Hawthorne Blvd. With so many food trucks on offer, Portland’s street-food scene is daring when it comes to dining. Walking tours are available covering the history of the carts, and offer a good opportunity to pick up some tasty samples. Tours last up to three hours and advanced tickets are required. Spend Saturday morning browsing fresh produce from local farmers, chefs and artisans at Portland’s iconic farmers market. Sprouting up all over the city with a festival atmosphere, this is another way to enjoy what the city has to offer. An absolute must for coffee lovers! What started as a single roastery coffee shop on Southeast Division Street quickly expanded to the rest of Portland and is now a firm favourite for locals and visitors alike. Stumptown offers a great selection of expertly roasted coffee in a unique variety of flavours. 4525 SE Division Street. 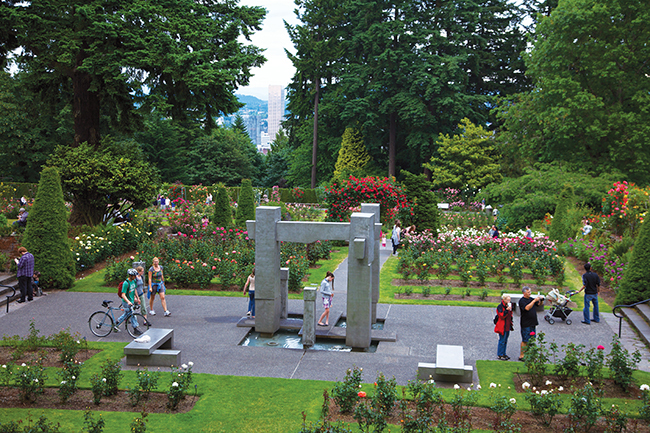 International Rose Test Garden – Each year hundreds of thousands of visitors from around the world flock to Portland to enjoy the sights and scents of these beautiful rose gardens. The spectacular views offered by the thousands of flowers make it one of the city’s treasured landmarks. Located in Washington Park, the best time to visit is between May and September. Portland Japanese Garden – Discover the tranquil beauty of these authentic Japanese gardens. Stretching over five acres and five separate garden styles, the garden includes a Japanese Tea House, winding streams and intimate walkways with views of Mount Hood. Shopping in Nob Hill – One of Portland’s more eclectic neighbourhoods, Nob Hill is a shopper’s paradise lined with independent retailers, craft stores and boutiques housed in buildings with old Victorian-style fronts. Coffee shops and on-trend restaurants and bars can also be found interspersed between the retailers. Vegan mini-mall – Portland is home to the world’s first vegan mini-mall. Located in south-east Portland, visitors can enjoy dining, shopping and even tattooing from dozens of businesses, safe in knowledge that it’s all things animal-free. 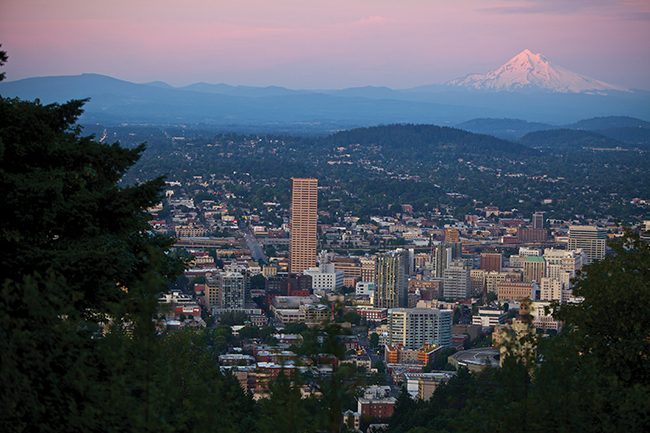 Seasonal flights are available direct with Delta Air Lines throughout May to October from London Heathrow (LHR) to Portland International Airport (PDX). Non-direct flights are also available via Seattle and with Aer Lingus from Dublin and Iceland Air via Reykjavik. The MAX Red Line light rail service is the easiest way to travel to and from the airport. It costs $2.50 for the journey, which last approximately 40 minutes. Located in south east Portland, the Jupiter Hotel is a boutique hotel that welcomes guests to indulge in urban life. The renovated motor lodge has 81 rooms, while its nearby sister property, Jupiter NEXT has a further 67 rooms. The hip and continually evolving aesthetic of the hotels ensures every stay offers a different adventure! The Doug Fir, one of the city’s top music venues is also located on site. Prices start from £90 per night. 800 E Burnside St, Portland. Find it in the old Clyde Hotel building in downtown Portland. With unparalleled views of the city and a block’s walk from key attractions, this hotel is a stylish pitstop. Prices start from £108 per night and range from basic shared rooms to superior deluxe suites. 1022 SW Stark St, Portland. 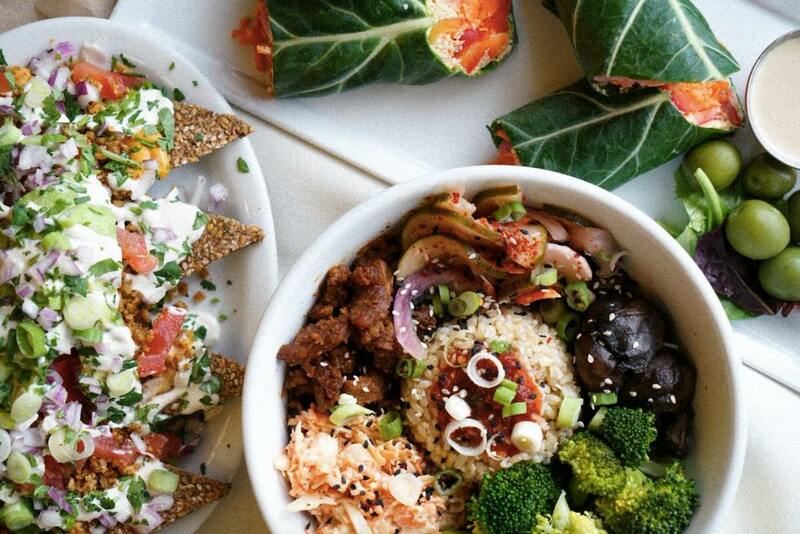 Check out our vegan city guides here.